BEAUTIFUL LAKE FRONT ! 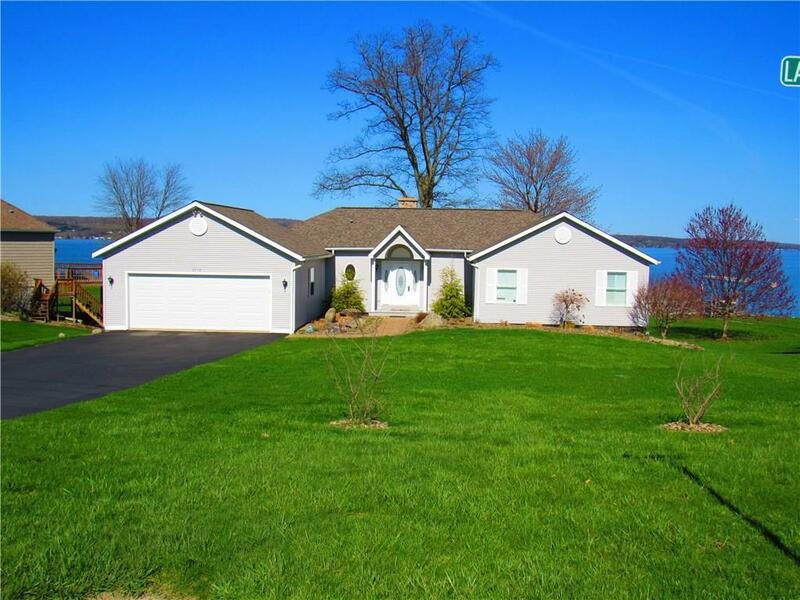 (Sunrise Cove) offers Panoramic view of Chautauqua lake. Open floor plan with spacious kitchen with quartz counters and Island. Living room with wood burning stone hearth fireplace . Screen in porch has access from kitchen and living room for easy entertainment. Master en-suite is situated for privacy including a custom master bathroom with high end features , walk in closet and a lake views. Main level also has 2 more bedrooms with Jack n Jill bathroom and office could be used as a 4th bedroom . Lower level has spacious family room above grade windows and sliders which lead to patio . Attached 2 car garage and lower level garage for for boat and or any other toy you'd like to store. Sweeping front lawn with a beautiful shoreline and Underground utilities . Directions To Property: Rte. 394 To Sunrise Cove Straight To The Lake Look Fro Rea Sign.